Connect compatible devices to the RS port on the Top Plate Core for start/stop functionality. This cable enables the use of a Run/Stop Trigger when connecting a compatible device with a 3-Pin Fischer port to the RS Port on the Top Plate Core for DSMC2. It is ideal for use with the Carrying Top Handle for DSMC2 when mounted onto the sliding top plate. The cable is 20cm (7.87in) long and uses genuine Fischer connectors. Compatible device brands include Preston & ARRI motor controllers, as well as other 3rd-party manufacturer handgrips with Run/Stop trigger function. 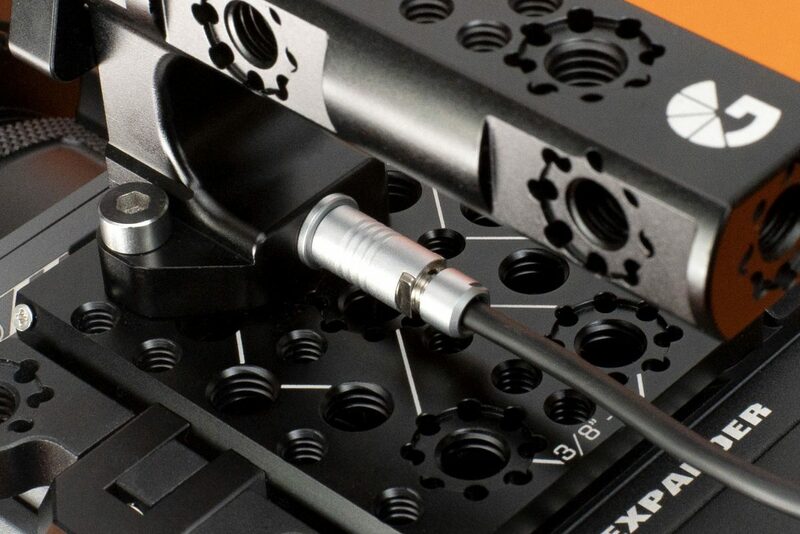 The trigger signal is the same for DSCM2 cameras, as well as other ARRI, Sony & Canon cameras. RED and DSMC2 are trademarks™ or registered® trademarks of RED LLC. Bright Tangerine does not imply any affiliation with or endorsement by them.